After discussing their need for another bedroom and a larger kitchen, the most logical and economical decision was a Double Storey extension. 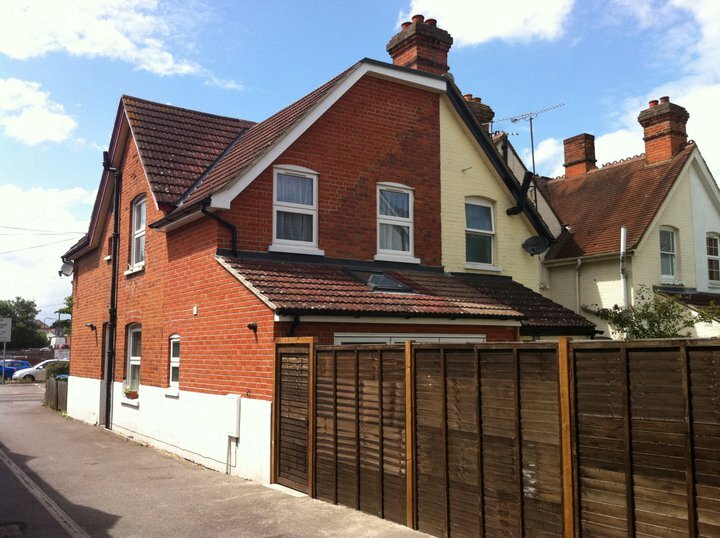 Morris Road in North Camp is a 5 minute walk to both the train station and the High Street. Coupled with the slow housing market, Richard and Emma Howden chose to extend their current home rather than move. The time period set for the on-site construction of the extension was 8 weeks. Understanding the challenge for home-owners in having their routine disrupted by building work, Marble Construction can arrange to work hours more suitable to the customer. Within this 8 week period, the extension was finished on budget, on time and to specification despite British January weather. This included the groundwork, foundation laying, piping, brickwork, flooring, fitting, roofing, insulation and decoration. A job like this would take most construction companies 10 weeks, especially in Winter. 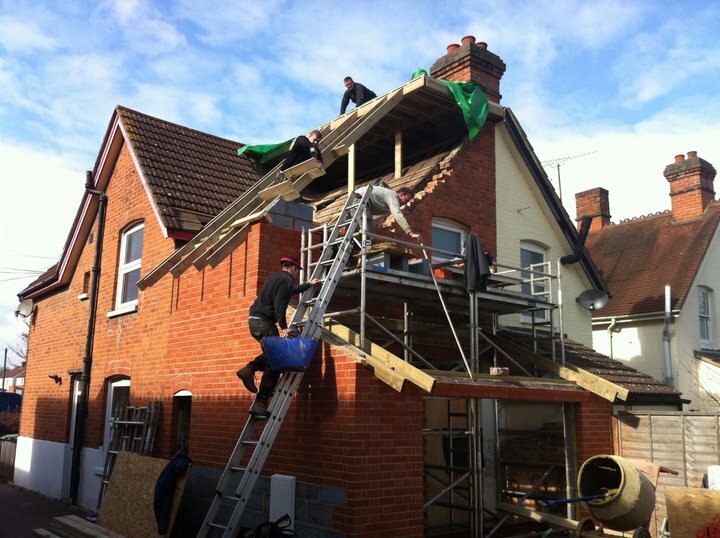 Photograph taken during the roofing process of the double storey extension in North Camp (Farnborough). 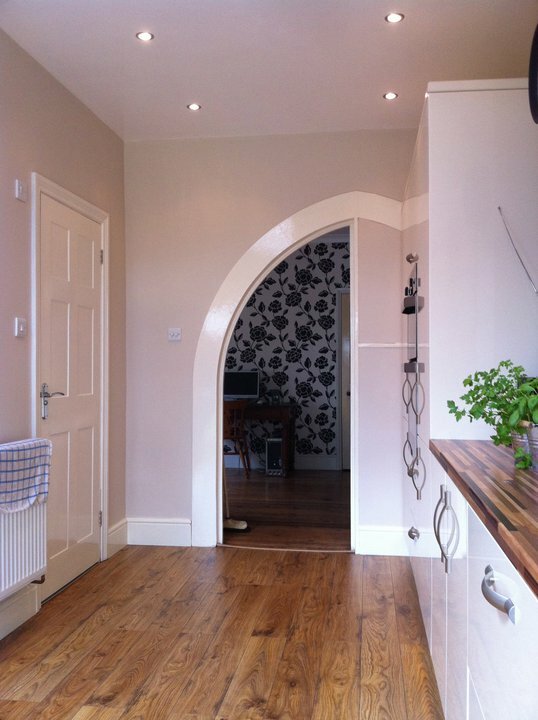 Kitchen extended by a double storey extension in North Camp (Farnborough). The lustrous white kitchen with chrome features creates a large bright space which is modern yet ageless, practical yet beautiful with features such as curved doorways, In-built units and Velux roof windows which allow even north facing garden properties to enjoy natural light through out the day. To see what more you can get out of your property, call Marble Construction for a free survey and consultation on 0844 813 1111 or email sales@marbleconstruction.co.uk.